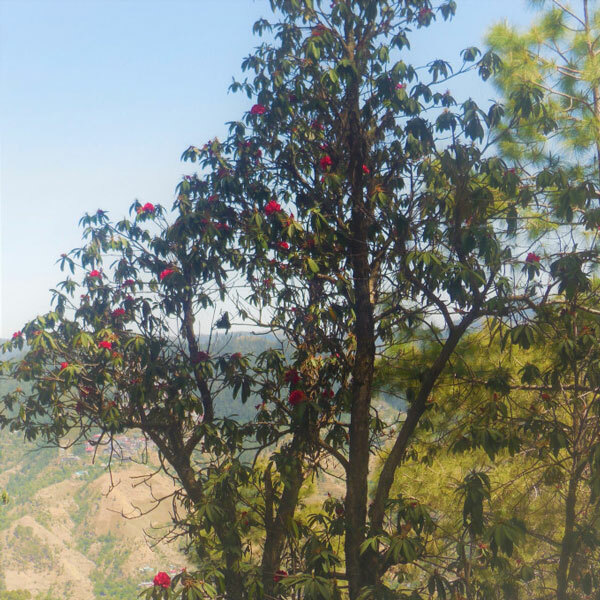 It is heartbreaking to imagine a Shimla blossom without the redness of the Rhododendron. Talk about the red flower, whose blossom marks the arrival of spring in Shimla. The once most common sighted flower during spring season in the erstwhile summer capital has become very rare with every passing year. Now the flower mostly can only be witnessed in a few areas like between Ramchander chownk to Beads College and somewhat at Indian Institute of Advance studies to Potters hill jungles. All living in the city would remember the Rhodo squash as an integral part of life in earlier days. Preparation of this squash was at one time done in many houses of the city which now is only available at the horticulture store or with a few private manufacturers. Not only the taste and smell of the squash is something to remember and relish, but the other medicinal properties this flower possesses is also important to recite. ” Brass flower had a special place in village life on Baisakhi,” stated a local villager. Every year on this festival “Toran (hindi word) “is made and hung outside the house marking the festival, they said. But now with the flowers reducing these cultures are also dying somewhere, they complain. However the reasons for this reduction are numerous. Experts say weather changes have a role to play. With temperatures rising early at times flower blossoms even in February nowadays (like this year when a Rhodo blossom was witnessed in February end at some places). More urbanization is also leading to this situation. In Shimla even plucking the flower is banned so that un scientific plucking cannot result in decline of its numbers, still the plant is reducing. As per a figure the total occupancy of this flower now is only five to ten square kilometers of this region. The forest department however says that Rhododendrons are still in plenty. They say this year they have already planted 500 new plants in different areas of the city. Adding that these plantations are a yearly venture, which the department has been doing since 2013. But is it enough? Experts urge that a lot of local participation would be required to revive this flower. Only then cutting across weather changes of today the blossom flower can be grown in plenty. They say that a pink variety of this flower can grown at home, though the initiative to promote that plantation has to come through the government agencies.